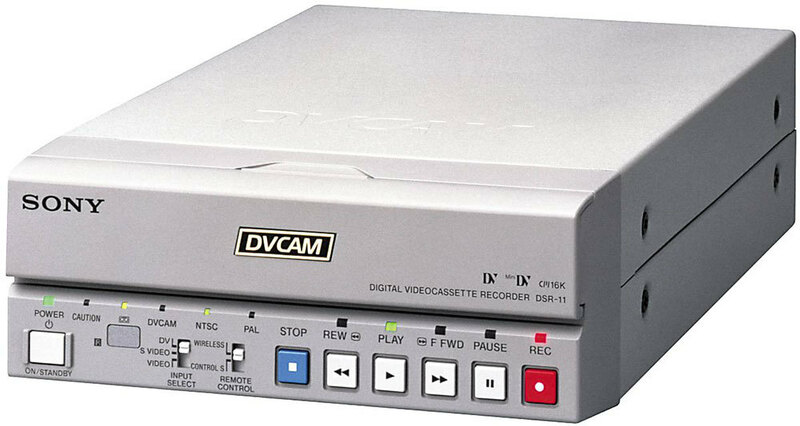 The DSR-11 can record and playback in either DVCAM or DV. It will accommodate both standard and mini-size DVCAM and DV cassettes and is able to be placed in either vertical or horizontal positions. Rent the Sony DSR-11 Compact DVCAM/DV VTR from Deck Hand Camera Rentals Today!